In spring and summer, the beautiful adult male Scarlet Tanagers are an unmistakable with their brilliant red with black wings and tails. The picture of this male Scarlet Tanager on Reeds was taken at the Anahuac National Wildlife Refuge in Texas. The picture of this male Scarlet Tanager was photographed with the Canon 5D Mark III Canon 300mm f2.8 IS II with the 2X extender. To hear the song of the Scarlet Tanager, click on the arrow below. 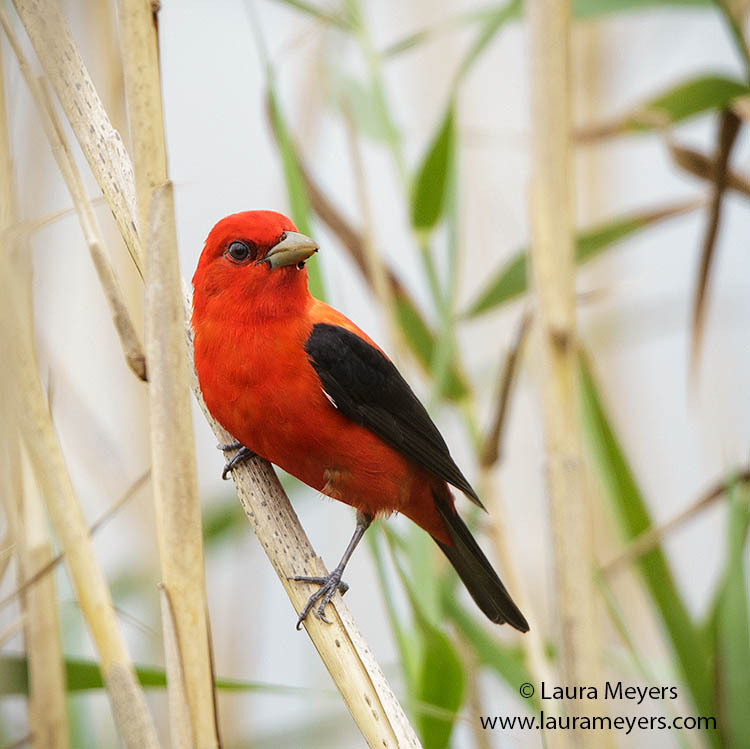 This entry was posted in Birds and tagged Anahuac National Widlife Refuge, birding Texas, male Scarlet Tanager, Scarlet Tanager, Scarlet Tanager on Reeds, Texas birding on June 28, 2016 by Laura Meyers.